19thc Beech Decorated Shoe Snuff Initialed A D G . English. C1860-80. 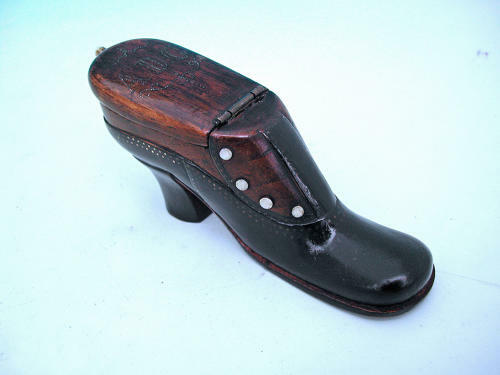 An impressive 19thc Beech Snuff Shoe of fine quality, decorated with brass nails, bone buttons and initialed A D G....a good size and in original condition.